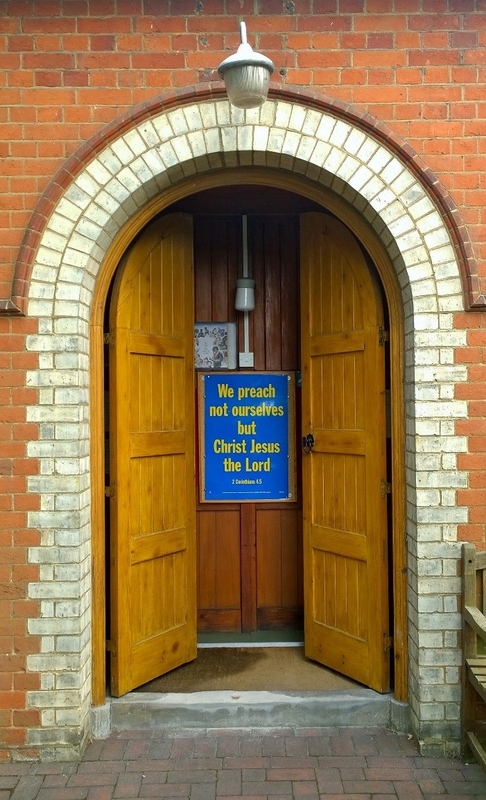 Welcome to Bethel Baptist Chapel, Guildford. We are an independent reformed Baptist church located in the heart of the historic town of Guildford. As a gathering of believers we meet to worship our God and Saviour, and to proclaim the gospel of Jesus Christ. Our worship is simple, reverent and Christ-centred. At the heart of our worship is the good news of salvation through Jesus Christ. The Bible tells us that all people are sinners and have disobeyed God’s perfect law and ways. As a result we are cut off from God’s blessing and cannot enjoy a close relationship with Him. However, the gospel declares that there is a way back to God through Jesus Christ. He came to earth to live a perfect life and die on behalf of all His people. He endured the anger of God instead. Three days later He rose from the dead, conquering sin and death, and now reigns in Heaven. Today, all who confess their sins and trust in Jesus Christ to save them experience His love and blessing in their life and have an eternal life in Heaven to look forward to. This is the message we love to hear and proclaim. Visitors are warmly welcome to any of our services. Facilities are available for parents or carers with young children.